Full Wadi Rum Tour: Five days filled with unimaginable sites and breathtaking views, this tour shows you every thing Wadi Rum has to offer. Along with hikes it includes a short and easy scramble and a short camel ride. Five days of true experiential tourism. The price includes 4 nights under the stars or in our camp, guides, camels, meals, back up cars and drivers. 310 JD Per Person. Discount for more than 2 people. The Key Trip: Far off the beaten tack and into the far corners of Wadi Rum, there are many exciting and accessible scrambling opportunities. This trip aims to take you to as many as possible! 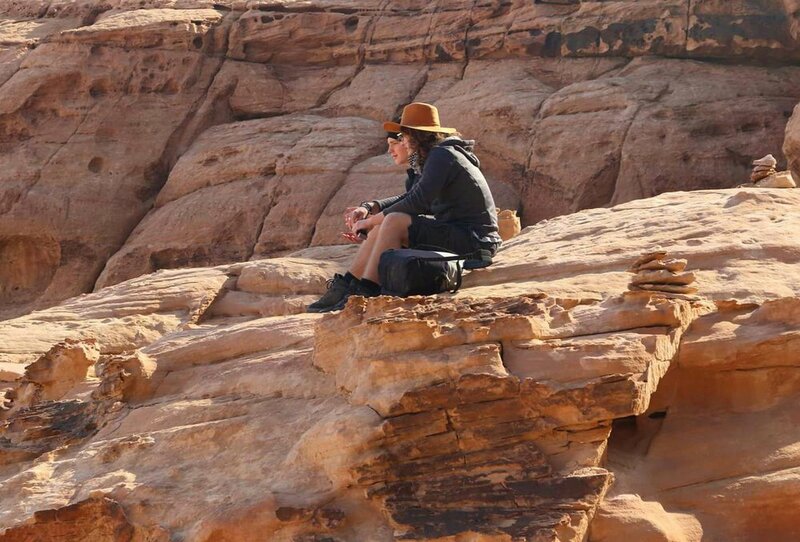 With this tour you will experience five days of adrenaline filled adventure climbing up and down the many mountains of Wadi Rum. The price includes 4 nights under the stars or in our camp, all sleeping equipment, food, guides and climbing equipment. 310 JD Per Person. Discount for more than 2 people.